Welcome to the Local Offer for Care Leavers. You will find information about the support that is available to young people who have been in the care of the Royal Borough of Kingston upon Thames and the London Borough of Richmond upon Thames and are now aged 16 to 25 years. In April 2017, the Children and Social Work Act became law and the provision for care leavers has been extended to include young people aged 22 to 25 who are not in education. In April 2014, Achieving for Children was created by the Royal Borough of Kingston upon Thames and the London Borough of Richmond upon Thames and is commissioned to deliver children’s services. In August 2017, we were joined by the Royal Borough of Windsor and Maidenhead. We provide children and their families with the support and services they need to live happy, healthy and successful lives. What is the Local Offer to care leavers? A young person who has been looked after may become eligible for ongoing services past their 18th birthday. If you are a care leaver, you can use this website to find out what support you are able to access. Local authorities have a duty to young people leaving care to inform them of services available and provide support to successfully move onwards and upwards to independence. 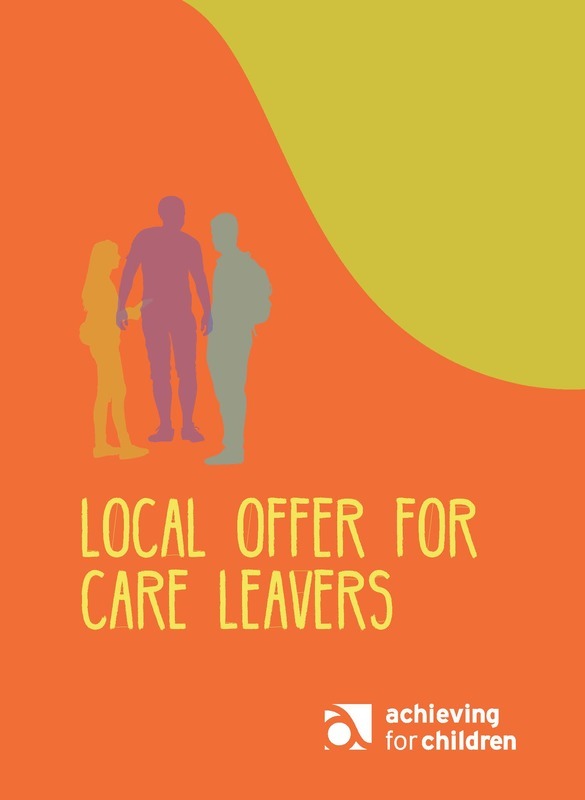 This Local Offer explains your entitlements as a care leaver and will also help you to get the best out of the support on offer.